PhotoPlus Expo – what’s new? Last month while I was in New York I was invited to cover the PhotoPlus Expo at Javits Convention Center. I’ve been a regular visitor at the show for the past five years or so and it’s always exciting for me to wander the aisles to see what’s new and interesting. I have written a series of articles on some of the neat stuff that I saw and rather than repeat them here, I’ll send you over to our Stay Focused site. Fuji Instant Camera – the Instax Mini 90 is a throwback to the “Polaroid era”. Nikon 1 AW1 – an incredible interchangeable lens camera that’s waterproof to 50 ft and more. Sony A7 – an exciting full-frame mirrorless with high powered features. Joby accessories – a hand grip/shoulder strap combo to lessen the load. Tamron Zipshot – one of the lightest and easy to set up tripods that you can carry anywhere. Leica X2 – a new, high-end and fashionable APS-C sized mirrorless camera that carries carries a great cachet. Triggertrap Redsnap – a versatile high speed trigger with interchangeable sensors for most cameras and flashes. Please feel free to wander over to my Stay Focused site, if you’re inclined. 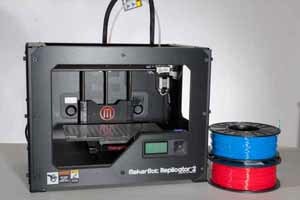 At this year’s Consumer Electronic Show I became quite interested in 3D printing technology. A couple of months later, I visited MakerBot’s store in New York City for a one-on-one demonstration. When I left, my wallet was lighter (to the tune of $2500). Since then I’ve become a fan of this relatively new technology. Having used it for a few months, I think these amazing devices will be commonplace in a few years. 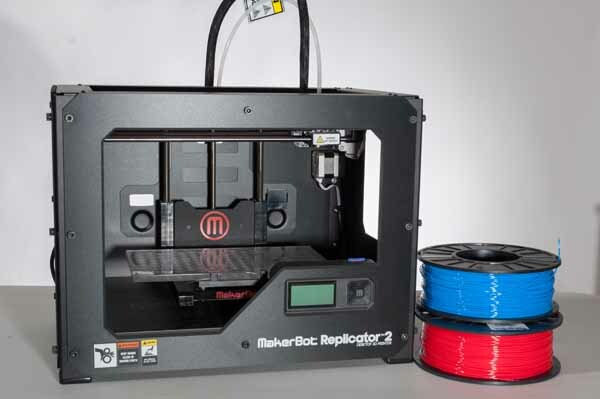 If you’d like a little background information on the model which I bought – Replicator 2, I’m going to send you over to my other Stay Focused site for some quick reading.